The U.S. Army Corps of Engineers Hartwell Project is taking public comments on the Proposed Draft of their 2019 Hartwell Shoreline Management Plan. People living on Lake Hartwell may go online to the Corps of Engineers Savannah District Web site to review the plan. 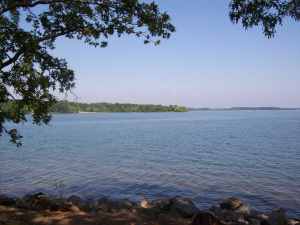 The Shoreline Management Plan is a guideline for general uses of public lands on Lake Hartwell as well as what types of private uses and activities are allowed. It also lists what types of permits that are issued and how to go about applying for those permits. It has been 12 years since the Plan was last updated and there are some changes from 2007. Sandy Campbell is the Natural Resource Program Management at the Hartwell Lake Project. Campbell says many of the changes came after getting public input at the start of the update process. changes to the care and maintenance of private docks. One new regulation is the permitting of security cameras on docks, according to Campbell. Another new regulation, Campbell said is the use of solar lights and solar panels on private docks and public rights of way. “If folks want to power their lights and lifts and different things on their docks, they can have solar panels on their docks. That’s awesome because then you don’t have to trench power lines on public land. They can just run their dock off a solar panel. So that’s new,” she said. Solar lights may now also be installed along pathways leading to a private dock. Campbell said you may also pick up a hard copy of the proposed 2019 Shoreline Management Plan in person at the Hartwell Lake Project office in Hartwell, or you can call Campbell toll-free at 1-888-893-0678 with your questions.